I'm from a generation that grew up with cassettes as a viable recording medium, so I still have a few favorites in my collection. If you do, too, and you want to use those tapes to their fullest advantage, the Tascam 202mkVII can help you do so. It has dual transports that can play, record, dub, and even digitize your nostalgia-inducing plastic rectangles. The deck is rack-mountable, for convenient use in a studio, house of worship, or advanced home component system. Most of the time, you'll probably be using the rear-mounted RCA input and output. 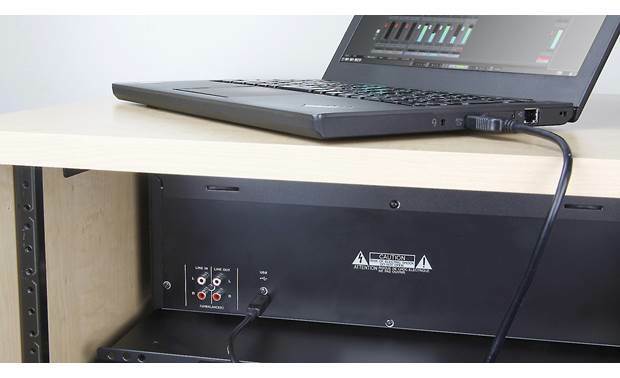 But the back of the deck also features a Type-B USB 2.0 port that allows you to connect to your computer, so you can create digital files from your old analog tapes. On the front of the machine, you'll find a microphone input with level control, so you can add your own voice to a recording. There's also a headphone jack with volume control, so you can privately monitor playback and recording. Can the side mounting hardware be removed if you choose to not place the deck on a standard rack system? Yes. You just take out 4 screws (2 each side) and remove the rack mounting brackets. (I would reinstall the screws afterward.) There are 4 round "feet" on the base of the tape deck. 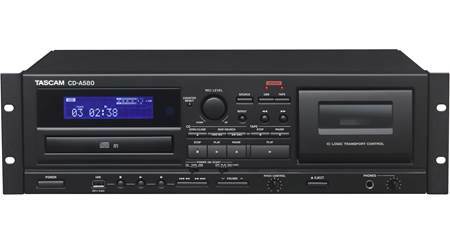 Overview: Building on Tascam's long history of providing professional quality tape decks, the Tascam 202 mkVII dual cassette deck is ideal for professional studios, houses of worship, music enthusiasts and more. The unit features recording and playback on both decks, as well as parallel recording, where both decks can record the same source at the same time. The 202 mkVII also features a rear-panel USB output for archiving your tapes to a digital format. Dual Cassette Wells: The Tascam 202 mkVII features dual twin-head decks that can each be used for recording or playback. Recording can be done from an external source, through the rear-panel RCA inputs, the Microphone input, or from Tape 1 to Tape 2 (Dubbing). Parallel Recording: The 202 mkVII also allows you to parallel record an external source to both decks simultaneously, letting you make a master tape and a copy at one time. Pressing the Tape 2 Pause button will pause both decks, pressing a second time will resume recording on both. 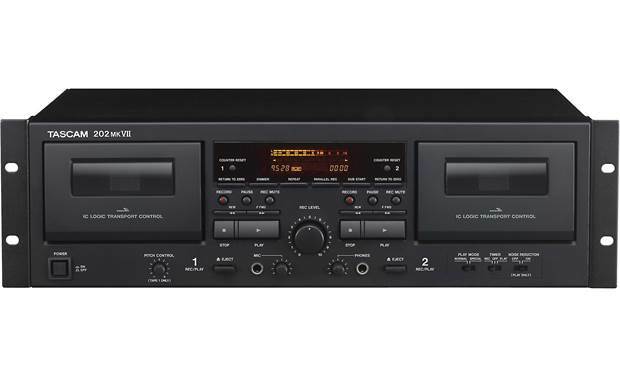 One-Touch Dubbing: The Tascam's dubbing feature lets you copy one tape to another. When a playback tape is loaded into Tape 1 and a blank tape in Tape 2, dubbing can be quickly and easily started by pressing the Dub Start button. This simultaneously starts playback on Tape 1 and recording on Tape 2. If the Tape 2 Pause button is pressed during dubbing, Tape 1 will continue to playback, but Tape 2 will pause recording. Pressing the Tape 2 Pause button again will resume recording on Tape 2. When dubbing, the recording level is set automatically and the Rec Level knob on the front-panel becomes inoperative. 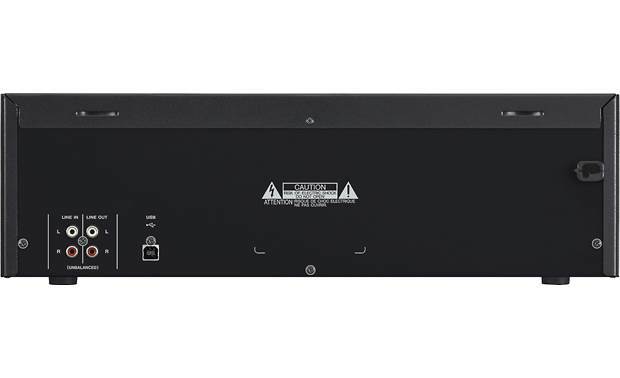 Mic Input: The front-panel includes a 1/4" mono Mic input jack with its own Level control. The microphone source can be recorded directly to deck 2 with the signal placed in the center of the stereo field. The mic signal can also be mixed with either Tape 1 or Tape 2's playback signal for karaoke, with no recording. When recording, the mic input can be mixed with the playback signal from Tape 1 and recorded to Tape 2 or mixed with an external source from the rear-panel RCA input and recorded to Tape 2. The Mic input signal can also be mixed in when dubbing. When a microphone is plugged into the front-panel jack, the signal level from either Tape 1 or the external source, automatically gets lowered to provide enough headroom for both signals. Play Mode: The Tascam 202 mkVII features two types of playback modes, Normal and Special, that can be selected using the Play Mode switch on the front-panel. Normal: In this mode, signals played back from either Tape 1 or Tape 2 decks are output from both the rear-panel Line Outs as well as the front-panel Headphone output. Special: In this mode, signals played back from Tape 1 will be output through the Line Outs, but Tape 2 can be played back through the Headphone output. This handy feature lets you cue a second tape while playing or recording another. Timer Control: Recording and playback of the 202 mkVII can automatically be started at set times by connecting a commercially available timer (sold separately). The Tascam can be set to start recording or playback a tape when the unit is powered on by the controlling timer. 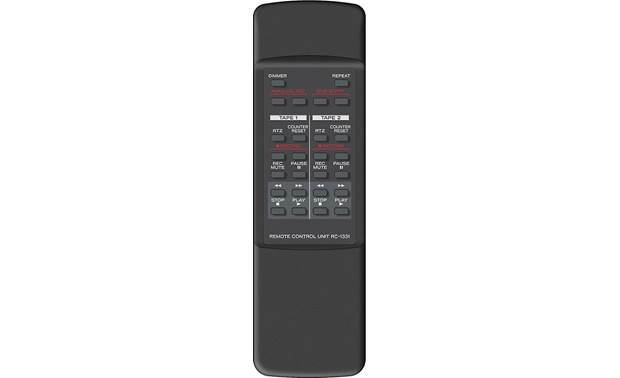 Wireless Remote: Included with the Tascam 202 mkVII is the RC-1331 wireless IR remote control that features most of the functions provided on the front panel for both decks. Pitch Control: A Pitch Control dial is provided for Tape 1 that can raise or lower the pitch by 12% in either direction (12% is equivalent to about 2 semitones). The Pitch Control is only for playback on Tape 1 and is disabled when recording or dubbing. Return To Zero (RTZ): Both tape decks have their own Return To Zero button that will fast forward or rewind the tape until the counter reaches "0000". Counter Reset: Both tape decks have their own Counter Reset buttons that work in conjunction with the Return To Zero button. The Counter Reset button is pushed at a certain point on the tape, displaying 0000, when the RTZ button is pushed, the tape will be rewound or fast forwarded to that particular point on the tape. 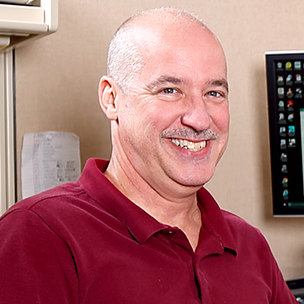 Repeat: The Repeat button can be used to repeat certain sections of a tape during playback. The button gets pressed at the starting point of your "loop", then pressed again at the end-point of you "loop". The tape will play from the start point to the end point, then rewind and start the "loop" over. Repeat playback will stop automatically after 20 repetitions. Rec Level: This center dial is used to adjust the recording level for both decks and work in conjunction with the 18-segment Rec Level meter in the display. Dimmer: Each press of the Dimmer button will change the brightness of the front-panel display, with 5 levels available. Parallel Record: Sets both tape decks to record simultaneously from the same source. Dub Start: Simultaneously starts both decks dubbing, Tape 1 playing and Tape 2 recording. The Norm Dub indicator will light on the display when dubbing is activated. Rec Mute: Both decks have their own Rec Mute button that can erase unnecessary parts of a recording or for creating spaces between songs. A single press of the Rec Mute, while recording, will record about 4 seconds of silence, then the unit will enter recording standby. If more space is needed, you can hold down the Rec Mute button as long as needed. When released, the unit enters recording standby. If a blank space less than 4 seconds long is needed, pressing the Pause button within 3 seconds of pressing the Rec Mute will shorten the blank space, then the unit will go into recording standby. Pressing the Pause button will resume recording. Play Mode: Allows you to select between Normal and Special playback modes. Timer: Sets the unit for either Timer Recording or Playback. A 3-way switch allows options for Rec, Play, and Off. Noise Reduction: On/Off, this provides noise reduction for playback only. Display: The front-panel display includes an 18-segment level meter for both Left and Right channels and ranges from ∞ up to +6 with segments past 0 (peak) lighted in red. The display also has 4 digit counters for both Tape 1 and Tape 2. Inputs/Outputs: 2 pairs of RCA jacks make up the stereo inputs and outputs. USB (Type-B, 2.0): A USB port is provided for backing up tapes to a computer. Do you sell blemished tascam 202 mkvii? Searches related to the Tascam 202mkVII Dual cassette deck.